In 1862 Charles Foote, who lived here acquired a strip of land from the U.S. Government as as payment for services rendered. This land is block #6 of Bode, Iowa. This block runs from the Leo Tofteburg home and west of the present schoolhouse. This block went through numerous transactions. A building was built on the southeast corner of block by Lars J. Gangestad between 1874 and 1882. This building has been remodeled and is the home of Leo Tofteburg. It was the only school for many years. Buhler, the former roller-mill owner, sold this property to the district township of Delana in 1885. On Sept. 18, 1890, this property became the Independent District of Bode, known as the public school. In this school, classes for the first 8 grades were held. Some of the teachers in this first school were Adelaide Johnson, Marion Thomas, E. E. Rice, O. M. Hallanger and M. M. Horton. Some of the academy teachers were L. O. Lillegaard, G. A. Gullixson, Professor Wilheim Horen, Dr. Granrud, Rev. Oscar Sauer, Professor Oscar Olson, and Adelaide Johnson. Some of the parochial teachers were T. O. Hanson, 1884-1889; L. O. Lillegaard, 1889-1903; G. A. Gullixson, Professor Wilhelm Horen, Dr. Granrud, Rev. Oscar Sauer, Professor Oscar and Adelaide Johnson..
Country schools were established every 2 miles or every 4 sections within the radius of Bode. 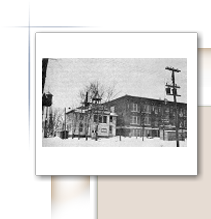 They were known as the Zeimet school, located on the northeast corner of Delana Twp. ; the Bothne school, located on a knoll of Lotts Creek; the Berge school, north of town; west of town was Will William's school; southwest of town was the Faltinson school; east of town the Jensen school, which was replaced with a modern school and is now a resident home. East of there to hwy 169 was the Richard Fullerton, then north to the Airline school at the intersection of 169 and 222. West toward Bode was the Chris Kinseth school, across the road from Robert Berte farm. All these school had the 8 grades. Many immigrants from Norway attended country schools to learn the English language, regardless of age. Several attended the second grade in their twenties. After the Bode Independent school was formed, these country schools were brought into the Bode Consolidated School. 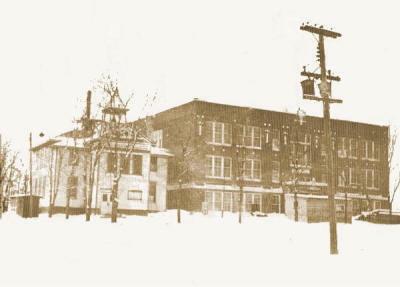 The Bode Independent School had grades up to 10th grade until 1915; in 1916, when consolidated, it went to the 12 grades. The class of 19119 held graduation in the old opera house. Class plays and programs were held there, also.